The Vanguard robo-advisor wins the size prize! The Vanguard Personal Advisor Services is the largest robo-advisor with $112 billion assets under management. If size isn’t enough, Vanguard is known for popularizing index fund investing. So, you don’t have to worry about the reputation of the firm if you choose the Vanguard robo-advisor. And, if you want hand-holding, the entire Vanguard Personal Advisor Services is driven by your relationship with a financial advisor. This robo-advisor begins with human assistance first and follows with digital investment advice. Vanguard Personal Advisor Services is part of the Vanguard Group, which is the world’s largest mutual fund company, and the second largest provider of exchange-traded funds (ETFs). The Vanguard Group has over $5.1 trillion in assets under management (AUM). The company was founded by John C. Bogle, who developed the first index fund. As robo-advisor fever sweeps the investment universe, the large investment houses are diving in. 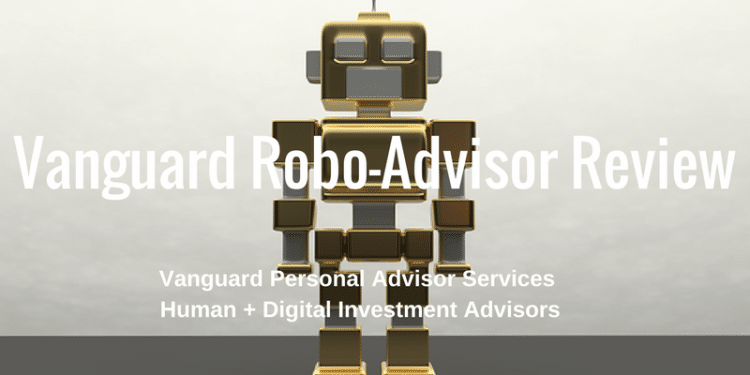 The Vanguard Personal Advisor Services Robo-Advisor is in the club with Schwab, Fidelity, Merrill, TD Ameritrade and countless other big players. If you’re looking for big, Vanguard robo-advisor’s closest competitor in size is Schwab Intelligent Portfolios with Betterment claiming the third largest robo spot. 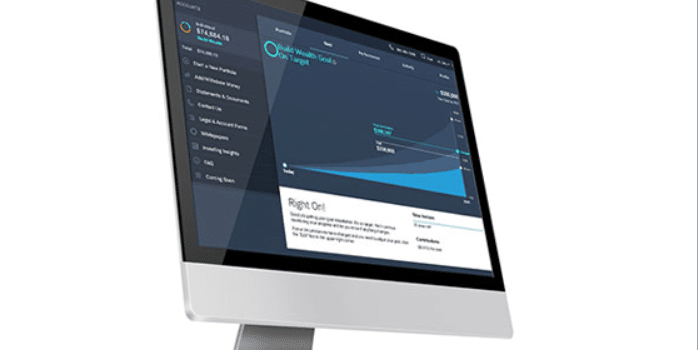 With $50,000 in assets, you can use the financial advisor driven Vanguard robo-advisor. If not, Betterment is a good alternative with financial advisors and no minimum balance required. Who Benefits from the Vanguard Robo-Advisor? Overview Automated investment management robo-advisor in concert with human financial advisors. 0.10% of AUM from $10 million to below $25 million; 0.05% of AUM of $25 million and above. Top Features Financial advisors available for your account; Automatic rebalancing quarterly; Tax optimized asset locations. Free Services Automatic deposits; Mobile app. Investment Funds Low fee stock & bond mutual funds and ETFs selected from among the scores of Vanguard funds. Accounts Available Individual & joint investment accounts. Roth, traditional, SEP, Simple & rollover IRAs. Trusts. The Vanguard robo uses basic portfolio allocation methods that are typical of robo-advisors. A computer algorithm creates a portfolio for each client, based your goals and risk tolerance. But here’s where Vangaurd is distinct from many competitors. Vanguard’s robo-advisor adds direct human financial advisors to the process. Your contact with the service is handled by an individual financial advisor, who acts as the point person in establishing your account and portfolio. Along the way, and depending on the size of your portfolio, you will have access to a dedicated or group of human financial advisors at all times. For investors with at least $500,000 under management, you’re appointed an individual advisor. Much as is the case with traditional full-service investment brokers, the advisor assists you with all matters concerning your account. This gives larger investors similar investment management as they would get at traditional higher cost firms, but at a fraction of the cost. If you have an account balance between $50,000 and $500,000, you won’t have access to a dedicated personal advisor, but you’ll have regular access to Vanguard’s large staff of professional advisors. In general, this is sufficient human financial advisory help for most investors. While accounts valued at less than $500,000 don’t have a dedicated financial advisor, this may not be the disadvantage that it seems. Vanguard is known for excellent customer service, and each advisor is thoroughly trained in Vanguard’s systems and methods of investing in low-cost index funds. As well, any advisor who you contact has full access to your account profile. The obvious advantage of this method of advisor contact is that you can have a remote, but face-to-face meeting. It also helps if either you or the advisor needs to bring visual aids into the discussion. Unlike other robo-advisors, Vanguard provides tax-loss harvesting on a case-by-case basis. However, Vanguard still engages in tax-advantaged investing with your account. In doing so, they allocate assets based on the taxability of that account. For example, interest and dividend bearing investments, with higher tax obligations might be held in tax-advantaged retirement plans. Growth type investments would be held in taxable accounts, where they can take advantage of favorable long-term capital gains tax rates. Personally, as tax loss harvesting can create tax time nightmares (in taxable brokerage accounts), I believe that it is best performed with human advisor oversight. Naturally, the whole concept of robo-advisors is tailor-made for investors who prefer hands off management. But one major area where Vanguard robo-advisor stands out is the fact that the service includes a human advisor. Many robo-advisors lack human advisors in order to keep investment management fees low. But Vanguard gives you access to a human advisor whenever you feel the need. That can be especially comforting during those times when the financial markets are not cooperating with your long-term plans. In other words, when maket’s crash, it’s helpful to have someone to talk you off a ledge. Sometimes just having a coach letting you know to stay the course is just what you need during those difficult times. The other major group who can benefit from this service are larger investors. The basic fee structure of 0.30% is competitive, but it gets even better as your portfolio gets bigger. With the tiered pricing structure, a person with at least $10 million will pay a fee of just 0.10%. That means that the entire portfolio can be managed for just $10,000. That fee level can’t be beat by traditional financial advisors, in most cases. If you’re seeking a Vanguard alternative with a zero investment minimum, Wealthsimple provides human financial advisors to all account holders. Vanguard Personal Advisor Services performs rebalancing on a quarterly basis. Your investments will be rebalanced when your portfolio deviates from the target allocation by more than 5% in any position. This is less frequent rebalancing than many other robo-advisors provide. The Vanguard personal advisor services has a simple online sign-up process that you can complete in about 10 to 15 minutes. Step 1: General information. This includes providing your name, address and contact information. They also ask if you are retired, or if you plan to retire. Step 2: Your spouse’s information, if you’re married. Step 3: Investment strategy. This is where they ask you questions that are designed to determine your risk tolerance (more detail below). Step 4: Income and tax status. This is where you indicate both your sources of income, the amount of income, including pensions and other sources. This is also where you provide your tax filing status. Step 5: Accounts and savings. Here Vanguard is looking to determine potential assets under management. Naturally, these questions are geared toward determining how comfortable you are with taking losses on your investment portfolio. Your portfolio will be constructed with these considerations in mind. Once you have completed the initial questionnaire, you will have a telephone conference call with a Vanguard Advisor. After that, the service will take several days to set up another conference call – which can be done either by telephone or by video. The second conference call is where they provide your customized investment plan. The management fee of 0.30% is well below the 1.00 – 1.50% charged by traditional investment managers. Your account is being managed by live advisors, using robo-advisor tools. The sliding fee scale is very generous for very large investors. Your account is invested primarily in Vanguard funds, which are some of the best funds available (Vanguard’s average expense ratio is 0.12%, compared with the industry average of 0.62%). Having a human advisor to speak to about your portfolio, especially during market downturns can save you from selling or buying into the market at the wrong times. The Vanguard robo-advisor fees are higher than Wealthfront and Betterment, which charge 0.25%, while WiseBanyan and Charles Schwab Intelligent Portfolios are both free investment management services. Your account is invested primarily in Vanguard funds, which will exclude unrelated investments. The initial investment minimum is higher than most competitors and excludes smaller investors. Wealthfront has a $500 minimum, while Betterment has no minimum. Vanguard’s robo-advisor doesn’t offer an automatic tax-harvesting feature. The service is not for self-directed investors (which of course is not its purpose). Rebalancing is less frequent than it is with other robo-advisor services. This may or may not be a disadvantage, depending upon your preferences. 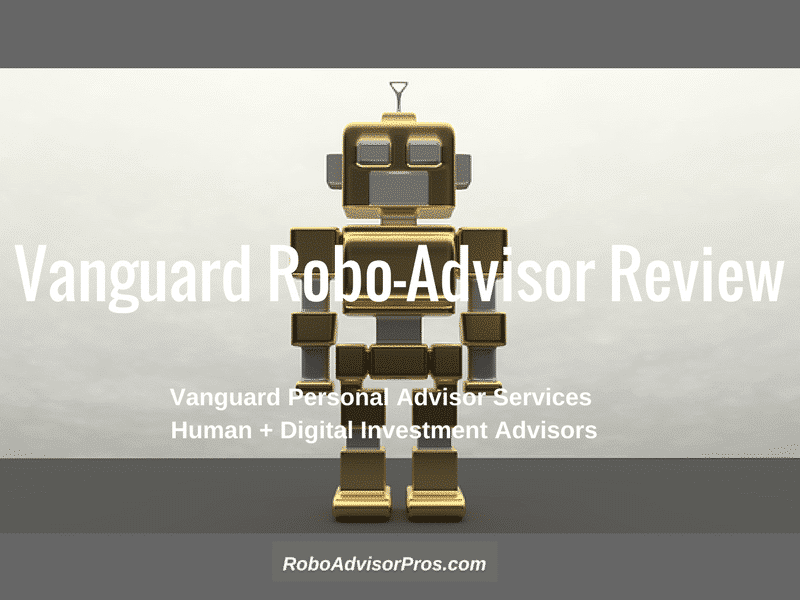 Vanguard is among the most trusted names in mutual funds, and they have brought their expertise to robo-advising through Vanguard Personal Advisor Services. It offers professional management at a reasonable fee, though it is much more advantageous for larger investors who can take advantage of even lower management fees. But even for investors who have less than $500,000 to invest, Vanguard Personal Advisor Services offers all of the advantages that people seek from robo-advisors, but with the added benefit of having regular contact with a live advisor. That’s a tough combination to beat in an industry that’s becoming increasingly competitive. Vanguard is well-positioned with their robo-advisor service to meet the needs of an even larger number of investors than they already have. Although, if you’re interested in a robo-advisor with human financial advisors, a unique free investment management dashboard, tax-loss harvesting and the opportunity to invest in individual stocks as well, check out Personal Capital (they were among the top performing robo-advisors in 2016). Ultimately, your robo-advisor choice depends on your own personal financial situation as well as your goals and preferences. To help make your robo-advisor choice easier, please enjoy our complimentary robo-advisor comparison chart. Click here to visit the Vanguard robo-advisor site. Kevin Mercadante is a professional personal finance blogger, and the owner of the personal finance blog, OutOfYourRut.com. He has backgrounds in both accounting and the mortgage industry. He lives in New Hampshire and can be followed on Twitter at @OutOfYourRut.